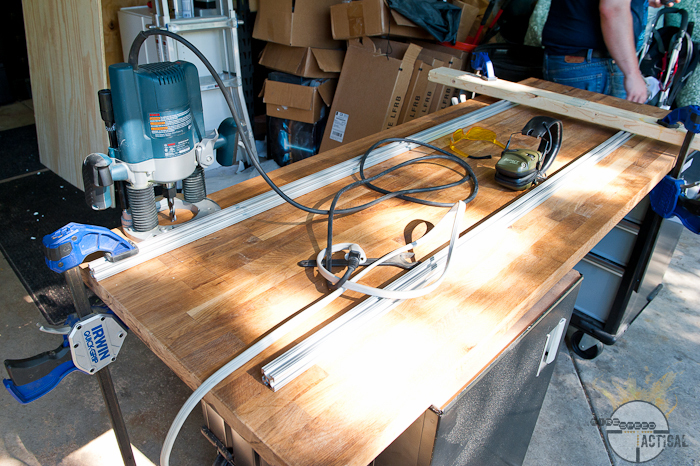 The ugly workbench that I started with. This bench gave me the best of the worst! the press had movement in the whole unit whenever I pressed. There was not enough room for me to move everything around comfortably. 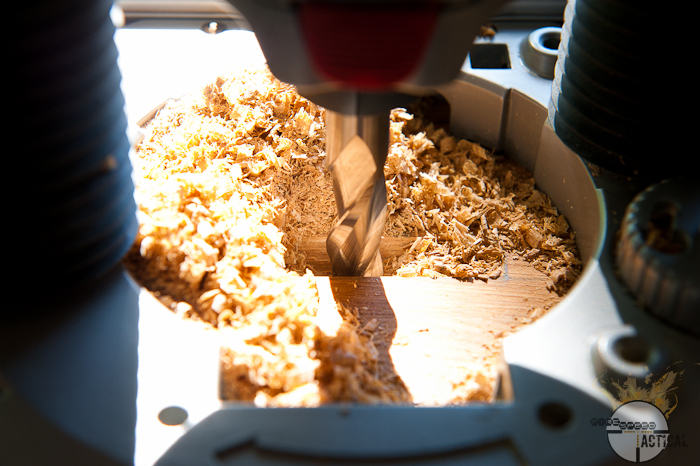 The board was actually 1/2″ MDF that I tore the press off of a few times while resizing brass. Our goal with this next bench was to make it strong so I can press rounds like it’s nobodies business. 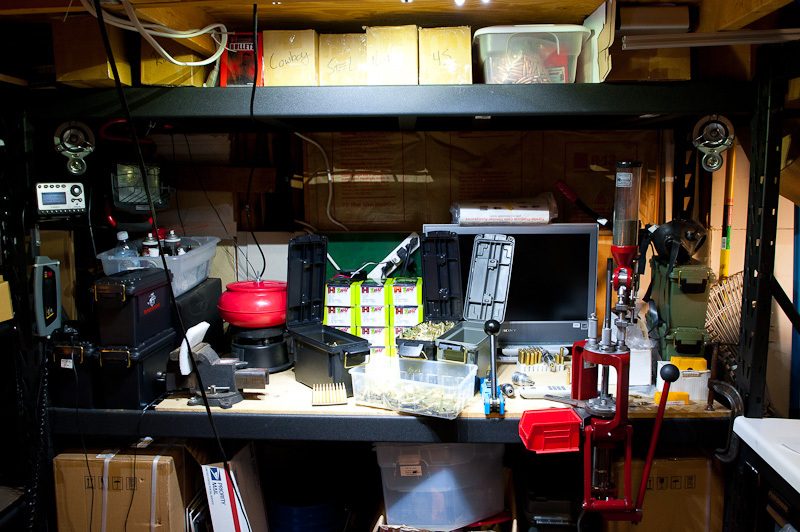 To be able to move the tools left to right to make room for other projects. And my favorite part; be able to trade tools with my fellow reloaders. 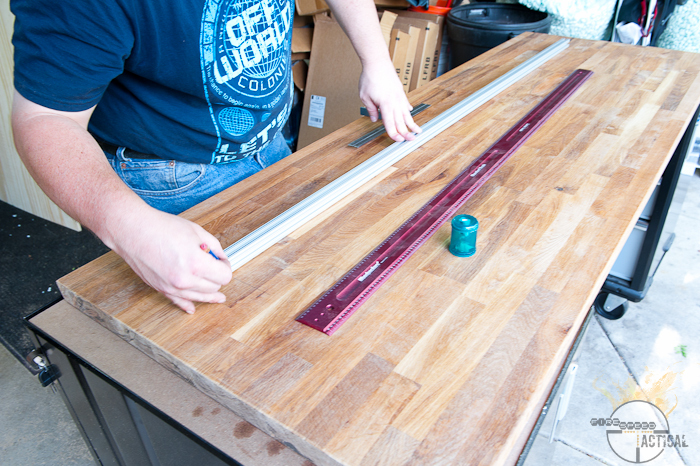 We are building the railed workbench to have matching specs to Bill’s and Eric’s Benches. Tools and equipment to have on hand. Food and Drinks are always good to have on hand too. 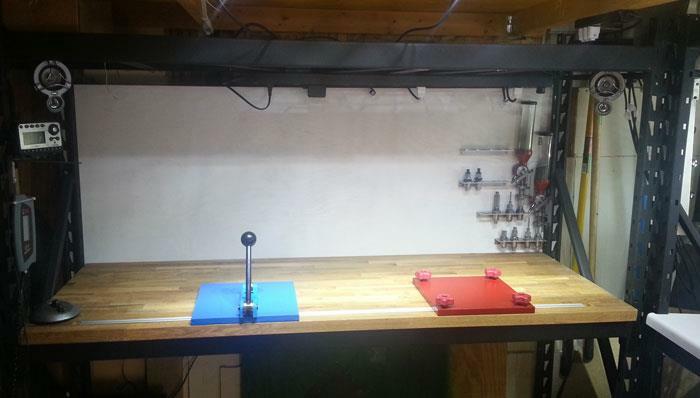 In this article we will be utilizing an edsal shelf system as the bench base. The shelves are rated for 2,000 lbs each so it will be able to handle the abuse. I picked up mine from Costco. 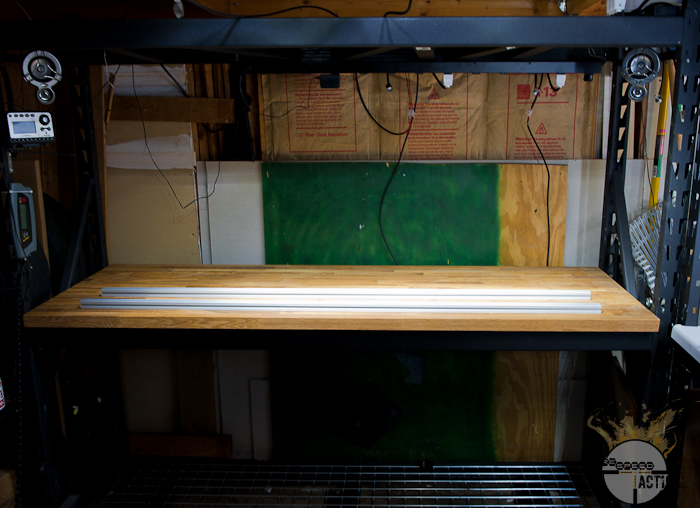 the Edsal has shelves 72″ (we had to cut the bench top down to 71 3/4″) wide, 24″ deep and I believe 72″ tall. From menards the edsal comes with 3 shelves. The unit from costco has four shelves and is slightly cheaper. This gave me a shelf for below the worktop and a shelf above to store additional tools and components. 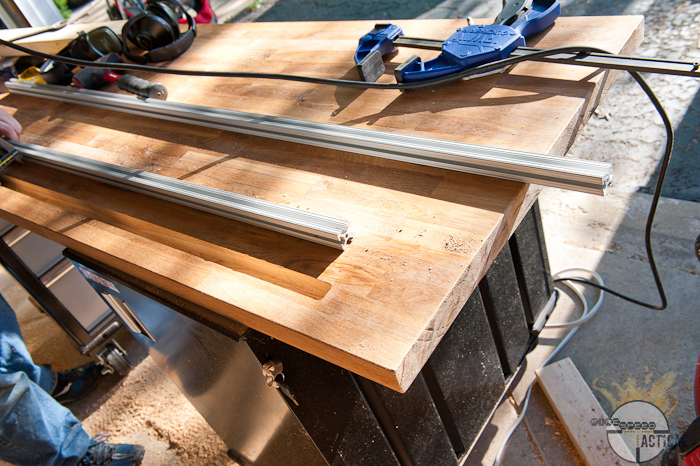 Here is the benchtop after we cut down the width of the rail. 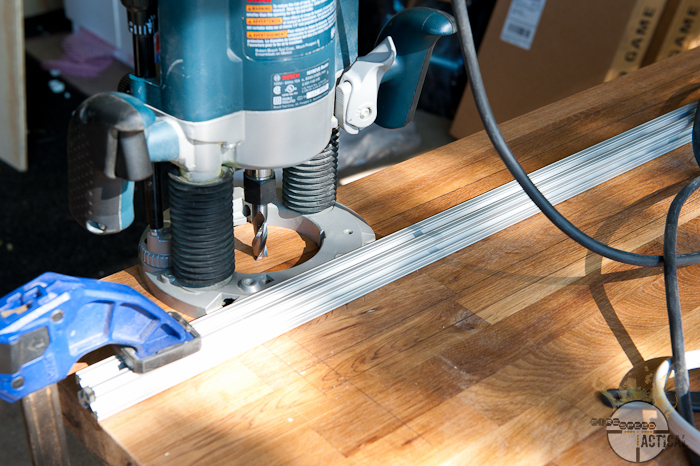 We started by putting the work bench in an easy access place for us to work and drew out where the rails were going to go. 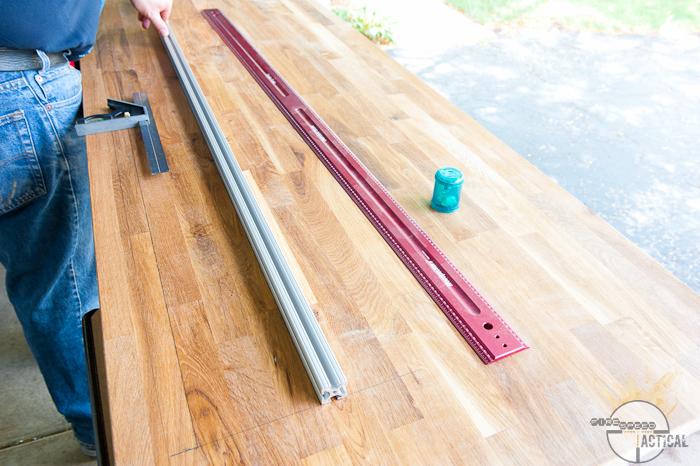 For my 71.75″ wide bench I ordered 60″ long rails. We measured many times to make sure everything was perfect and all lines drawn were clear and defined. We used pencil instead of pen because pen will make an indention in the wood. The pencil will not score the wood and worst case only wood (heh) need a light sanding to remove the pencil marks. 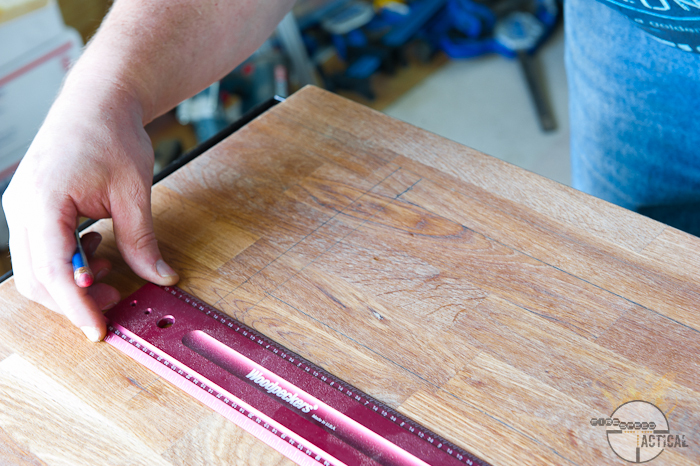 Custom WoodPecker ruler, The better quality components you use, The easier and better results you will get. 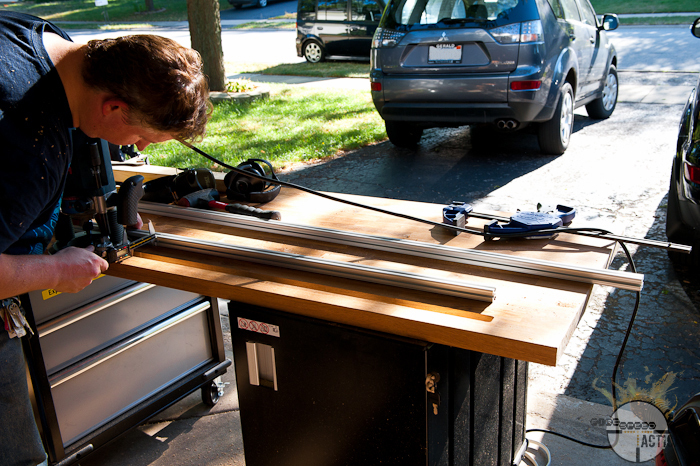 In the following photo you can see that we used the 80/20 rail as a fence for the router to work against. Here you can see eric measuring the width with the the digital caliper to make sure we have a consistent width for the rail to slide into. Slot completed. We made the slot longer than the rail so we can remove or add the T-Studs. Click here to like FireSpeed Tactical on Facebook so you can see updates on when new articles are posted. Click the Like button below to share this article on your wall.